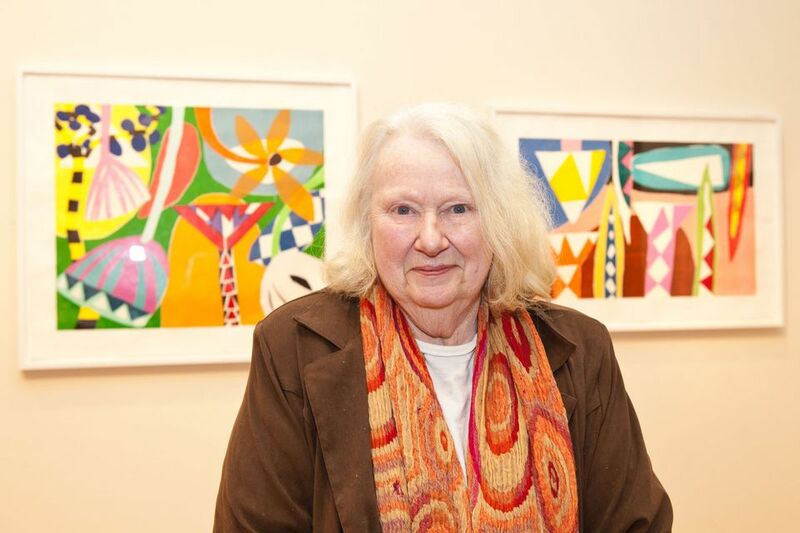 Gillian Ayres, the British abstract painter and printmaker and Turner Prize nominee in 1989, died on 11 April, aged 88. Born in London, Ayres was educated at St Paul’s Girls’ School, London, where her interest in art was born. During the Second World War while still a schoolgirl, she taught art, along with the future Labour politician, Shirley Williams, to the children in those parts of London that had been bombed by the Nazis. At 16 she applied to and was accepted by the Slade School of Art, but being too young to enrol she applied to the Camberwell School of Art where she studied from 1946 to 1950. In 1959 she was asked to teach at Bath Academy of Art, Corsham, Wiltshire, and she remained on the teaching staff until 1965. She then became a senior lecturer at St Martin’s School of Art, London, from 1965 to 1978, and became head of painting at the Winchester School of Art in 1978. She gave up teaching in 1981, moving to Wales to become a full-time painter. Her early works were made of thin vinyl in a limited range of colours and later works were in oil with a greater range of colours and the use of impasto. Some of her paintings were given literary titles which do not refer to the subjects of the paintings, but more to capture the mood of the texts. Along with Lucian Freud, Giuseppe Penone, Paula Rego, Sean Scully and Richard Wilson, Ayres was a runner-up for the 1989 Turner Prize, which was won by the minimalist landscape artist Richard Long. Ayres was made a Royal Academician in 1991, but resigned, temporarily, in protest at a RA-sponsored BBC TV documentary about the 1997 Sensation exhibition that she felt insulted older Academicians. She also objected to the inclusion of Marcus Harvey’s portrait of the murderer Myra Hindley. Fourteen of her works were destroyed in the Momart fire in 2004. Ayres was made a Commander of the British Empire (CBE) in 2011.